Welcome back to Meme Monday. 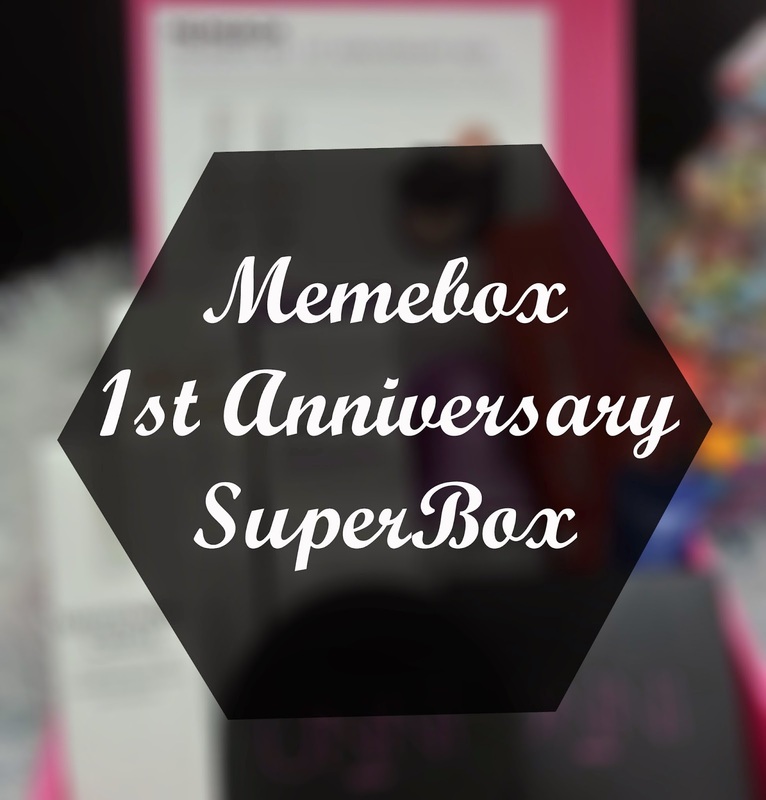 Today, I will be unboxing the Memebox 1ST Anniversary Superbox! Memebox is a Korean beauty company that sells non-subscription Korean beauty boxes. They also have their own brand of products as well. I purchased this box, that came out in October of 2014, in a box bundle with the Pumpkin Pie Cosmetics Box for $52 plus $6.99 express shipping. This box was created in celebration of Memebox's 1st anniversary. According to Memebox, they picked products that are the most talked about and most wanted in Korea, since 1st anniversaries only come once, Membox wanted to make sure it leaves a mark in K-beauty history. 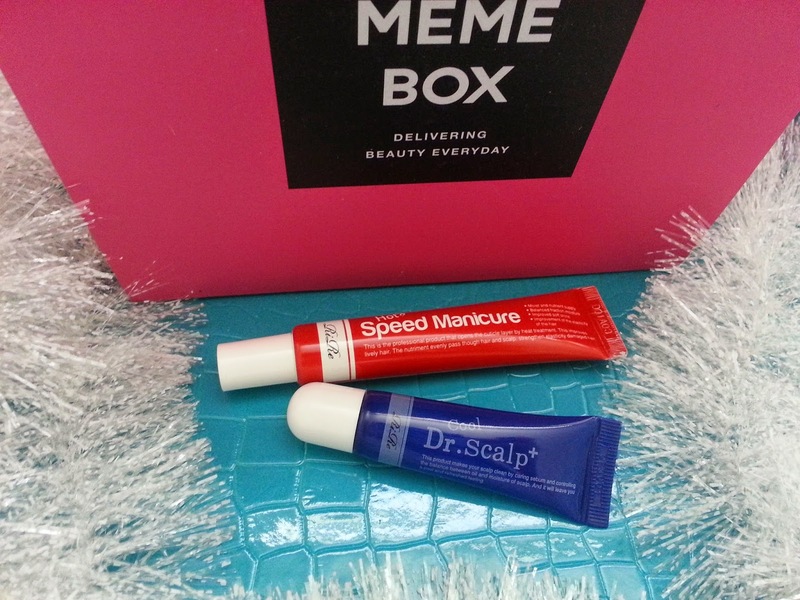 Let's dig in to see whether Memebox's 1st Anniversary Superbox leaves a positive or negative mark in K-beauty history! Here's all the goodies that came in the box. My initial thoughts when I first opened it was "that's it?" For a 1st anniversary box I was expecting boom, bang, sparkles, shine, um something amazing? Instead it's only a box of 5 products that looks meh? But looks can be deceiving, so I quickly read the description card and did some research, here's what I found on each product. Product Description: An innovative Unni Recipe pact that won't suffocate the skin while offering a natural coverage. It's moist and cushiony formula is infused with a mix of galactomyces, bifida, and lactobasillus ferments. It can leave the skin feeling silky soft and revitalized. To apply, use the sponge to gently dab on the formula. My Thoughts: At first I thought this is a BB cushion and I was super excited. However, upon opening it and trying it, I realize it's really a powder compact that acts like a cushion. I know that sounds odd, but I don't really know how else to explain it. I generally avoid powders in winter time, since it can make the makeup look cakey. So I will save this for the summer time. Product Descriptions: The Cool Dr. Scalp is enriched with a variety of oriental medicinal extracts to help cool down the scalp temperature to prevent potential hair loss. It also helps to remove impurities and dead skin cells from the scalp. The Hot Speed Manicure works to deliver rich nutrition deep into the hair cuticles to create a strong protein layer for maintaining a healthy moisture balance for the hair. Apply the Cool Dr. Scalp + directly onto scalp and massage it. There's not need to rinse afterwards. As for the Hot Speed Manicure, apply it as a hair treatment on wet or blow dried hair. My Thoughts: When I read manicure I automatically think of nails. So, I was a bit surprised to find that this is actually for my hair and scalp. My hair is pretty healthy, so I don't usually use products like these. However, I don't mind giving these a try. Product Description: An innovative spray type mask pack to save the skin from dehydration during winter times. It can deliver rich nutrients and instant moisture to dry and sensitive skin. To use, simply spray the product evenly on the face under or over makeup. My Thoughts: There were three random choices for this product and I got the whitening one. 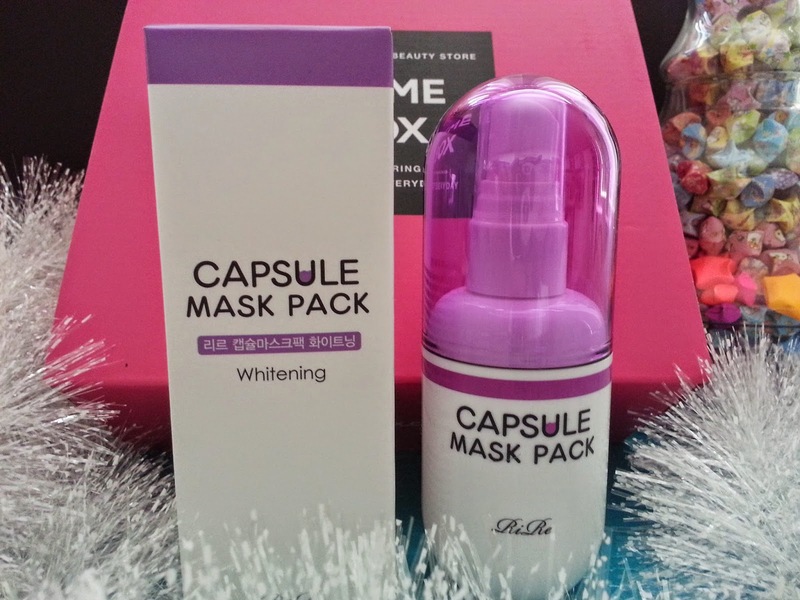 It's also one of two whitening products I received in this box. I'm not complaining though, because whitening pretty much means brightening and some brightening products can help get rid off acne marks. Those are the products I look for the most, since I have some acne marks that I'd like to get rid off. I'm currently using another mist, so I will be saving this for now. Product Description: Formulated with naturally derived ingredients such as bee venom, galactomyces and bifida ferments, it works to soothe and neutralize acne prone skin or stimulated skin. It's especially useful for those with sensitive skin or problematic skin that receives damages from dryness and environmental impurities. Apply the product after toner and massage it in for full absorbency. My Thoughts: There were two random choices for this product as well. The mist or the lotion, I got the lotion. I'm very careful about this kind of products, in case of allergies. Although I have tried other products with bee venom in them and so far I haven't had any reactions to those. It' still good to be cautious, just in case. I haven't decided if I will save this to patch test later or give it away. Product Description: The AHC Whitening Cream combines moisturizing properties, sunblock, brightening properties and complexion correction cream into one to provide the ultimate 4 in 1 product. It's multi-care and vitamin rich formula includes niacinamide, hyaluronic acid, lemon, kakadu plum, kamu kamu berry, and betaine. It will replenish dry and damaged skin while it corrected uneven skin tone to create a healthy complexion. To use, apply the AHC cream evenly over the face and apply BB cream after for coverage. My Thoughts: This is the other brightening product I got in this 1st Anniversary box. I am actually really excited for this one, since it sounds like something that will work amazingly against my acne marks. I can see myself using this as a sun screen too since it's got SPF 35 PA++. It sounds really promising and I can't wait to try it. Final Thoughts: Did Memebox's 1st Anniversary box make a mark in K-beauty history? Not really. In my opinion it lacked excitement, that could be amazingness just wasn't there. However, while it's not my favorite, I am fairly pleased with this box. I am really excited for one product, the AHC cream, and have really nothing against the other 4. 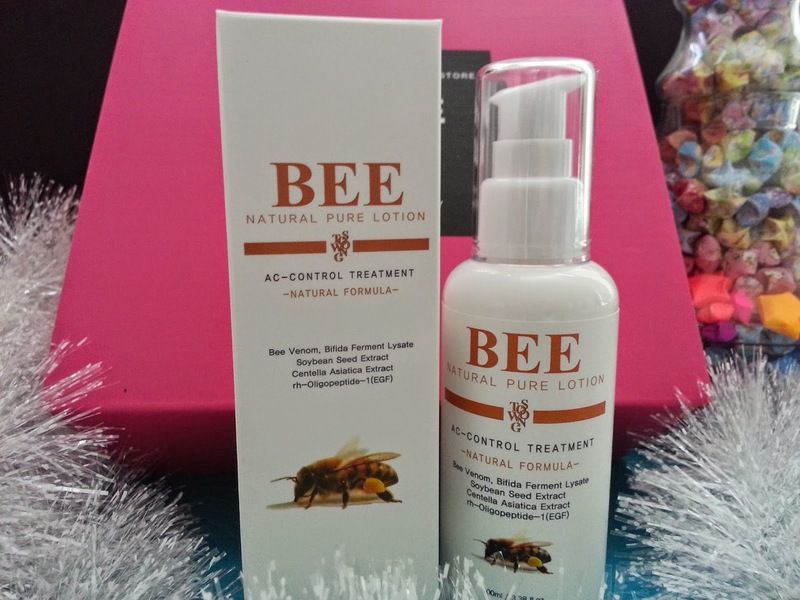 In my opinion, all the products in this box are useful to me and if I decide I don't want to try the bee venom lotion, I am sure I can find it a good home to go to.